It's not recent, and not youtube, but I found this Micro User show interesting. It isn't very informative, but its more a snapshot of 1985. My goodness - weren't people skinny then! Right at the end of that video (about 13:20) you can see John Huddleston, of P.R.E.S. Ltd., in the background with his trademark white shirt and black beard. Shame the video didn't go round all the stands. Noticed a young (goodness weren't we all?) Chris Evans and, of course all the Micro User team . . . I'd have been there on the P.R.E.S./ACP stand. The Lass O' Gowrie looks familiar in that video. I wonder why? -B-'s avatar (Metal Mickey) just made me say to my wife "Wow... Metal Mickey. I haven't seen that since I was little, I wonder if it was spectacularly crap?" Ah, Metal Mickey, also known as Android 0.1 (Atomic Thunderbuster). Last edited by lurkio on Sun Jun 17, 2018 7:12 pm, edited 1 time in total. Very reminiscent of Pi-CoPro but for the NES - a remarkable achievement! That was great - thanks for sharing! Is Neil Forsyth on here? Made all the more amusing if you turn on YouTube subtitles! Would you guys refurb a BBC once it looks like it was run over by a Mini?? It's the game that's bad, though only for the lack of RAM. And full of bugs? I'm glad the type-in phase of software retail is long dead and buried, especially where normal typists were required to run off those listings. Intriguing to watch for tips and stuff these days, however. Thanks to RobC and Anthony Hope I've got a load of new content for the Beeb to review over the coming months. The first of which is the Twisted Brain Demo by Bitshifters which I have recorded at 50fps direct from an Acorn/Phillips CRT. Enable 1080p for the full effect. Last edited by chinnyhill10 on Sun Aug 19, 2018 9:05 pm, edited 1 time in total. I've got a load of new content for the Beeb to review over the coming months. Last edited by lurkio on Tue Aug 28, 2018 5:13 pm, edited 1 time in total. 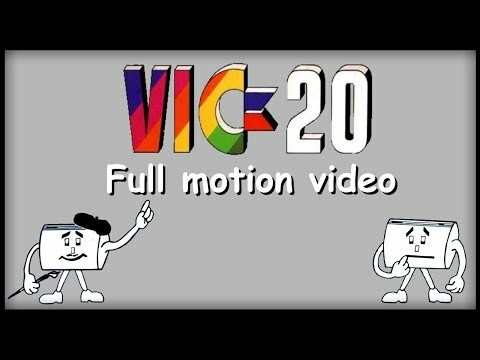 OT: full motion video on a VIC20. With sound too, of course. The Centre for Computing History has put up a few interesting videos related to ARM recently. Here's one that I found quite intriguing: Historic ARM Presentation to Apple Computer - 1992. Last edited by lurkio on Thu Sep 13, 2018 8:34 pm, edited 1 time in total. From this weekend's PyCon UK: Running a subset of python on the BBC Micro. Interesting to learn about the genesis of some of the ARM6's features - thanks for bringing it up! No problem! It's interesting to know that Apple requested features for either their cancelled ARM-based desktop machine or the Newton: 32-bit mode and big endian support, if I remember the video correctly. So we can thank them for the former and blame them for the latter - they had clearly spent too much time writing code for 680x0 CPUs to know any better. Including building his own hardware to sniff the CPU pins and buses etc. reminiscent of the 6502 protocol decoder. Acorn RISC PC Launch - 16th April 1994 (Home Video Recording) (via the RISC OS Open forums) - is that really how product launches were done back in the 90s? reupped -https://www.youtube.com/watch?v=llp8Hirpmzc - @Vectoreyes, did you see yourself in the vid? When I have time to stare at over an hour of low-res video looking for myself, I'll let you know! One problem is that there are several geeky-looking boys with glasses there and I'm not sure whether any of them are me or not! Last edited by VectorEyes on Wed Oct 10, 2018 9:31 pm, edited 1 time in total.